Hope this is not a repetition. Let me start with my all time favourite fish- Channa. Characteristics: Very shy till it fully adjusts to the aquarium environment. Shows full coloration after about a month, dont lose patience. Slow swimmer, but can be lightning quick when it spots food. It can bite if it mistakes your finger for food. Diet: Many channa are insectivores in wild, feeding opportunistically on fish, whenever they find. They prey on worms, snails, insects and shrimp in the wild. Live/feeder fish should be the last option you should be considering. Probably the best foods in captivity is frozen shrimp and blood worms. If you can feed it live earth worms, you should. 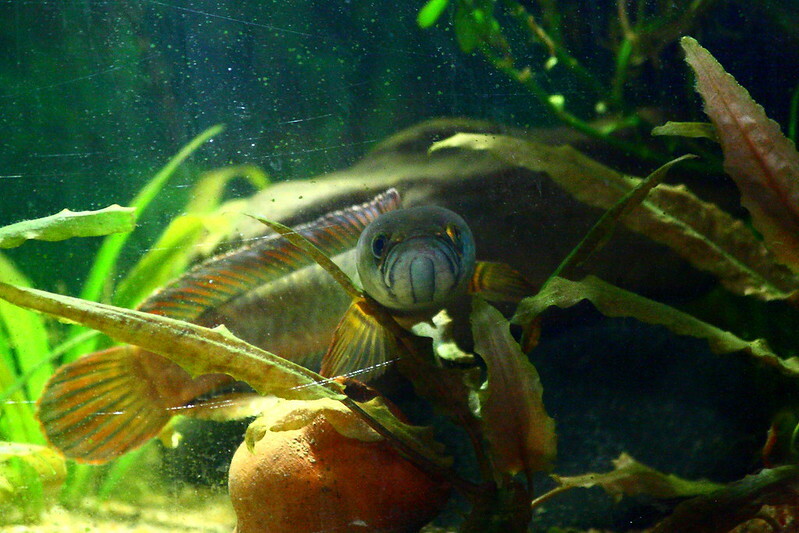 Tank size etc: Suitably decent tank size, with lots of hiding places is preferred by the fish. It doesn't move much, however, ample swimming space should br provided. Depends on the species, actually. 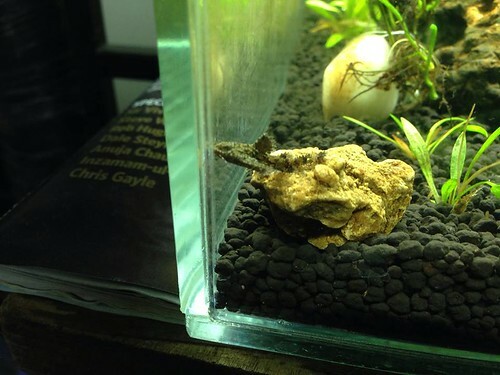 A pair of golden gachua, for example, can be housed in a 2x1x1 tank. They are labyrinth fish, so access to the water surface, and preferrable fresh air about that is must. They're master predators and strategists. If you really want to mix, please get a fish which doesnt fit in it's mouth. Also, channa doesnt like new water, while selecting tankmates (which i dont recommend) keep this in mind. Hope I have't missed out anything. Looking for suggestions and fish proiles from all. Please keep it to really uncommon fish. please specify the species of your lovely channa. 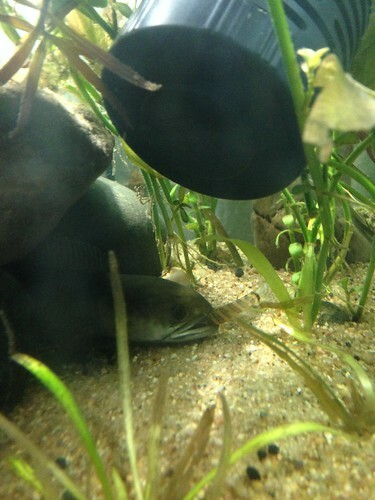 Asian Stone Catfish, Hara Jerdoni. Characteristics: Relatively poor eyesight, won't even respond to your hand movement outside the aquarium or inside. Prefers to rest in shady areas, prefers low light. Very sluggish swimmers may not do well with aggressive fish. They grow upto only 2-2.5" so preferred for nano tanks. May distrub plants/substrate while feeding, so if you're choosing this for a planted tank, better to have the plants well rooted before introducing them to the tank. They're also sensitive to co2 and prefer well oxygenated waters. Temperature preferred by them (at higher temperatures, they might not even feed ) is 20-24 Deg. C. Good practise to keep them in a group of 3+, althout not a mandate. Tank size etc: Well suited for the Nano tank. Prefers less water flow. 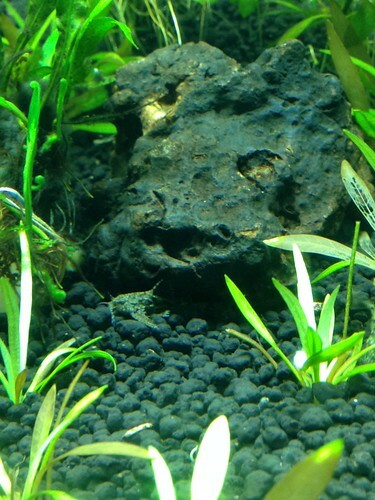 I would really suggest you keep this fish in a mildly planted tank without Co2 or any hifi stuff like fertilizers etc. Thanks Karthik . Very neatly written first hand and practical information's.. Expecting many more writings from you which will inspired other members to keep indigenous species. Kaushik wrote: Thanks Karthik . Very neatly written first hand and practical information's.. Expecting many more writings from you which will inspired other members to keep indigenous species. Thanks for your kind words Kaushik ji. WIll do my best. Very well written. Please mention the tank dimensions and details along with tankmates for Hara Jerdoni. shergill00 wrote: Very well written. Please mention the tank dimensions and details along with tankmates for Hara Jerdoni. Hi, thanks for pointing out. A group of 8-10 should be OK in a foot cube. You may be considering other fish with this, hence the number is limited to ten. Other fish from same area (of collection) will be a great addition to the tank. I have a bumblebee goby and Rasbora Maculatus (not indian native) along with this 5 of these fish. What do you feed them?